i like to call these "POWER BALLS"
a great alternative to all the sweet sugary goodies we are going to be exposed to in the next month or so. not that all those sugary goodies will be a problem or anything, but you can throw some of these together to make yourself feel good.....besides...they are really tasty! these little gems are so easy to make and i must say friends and family were quite pleased. 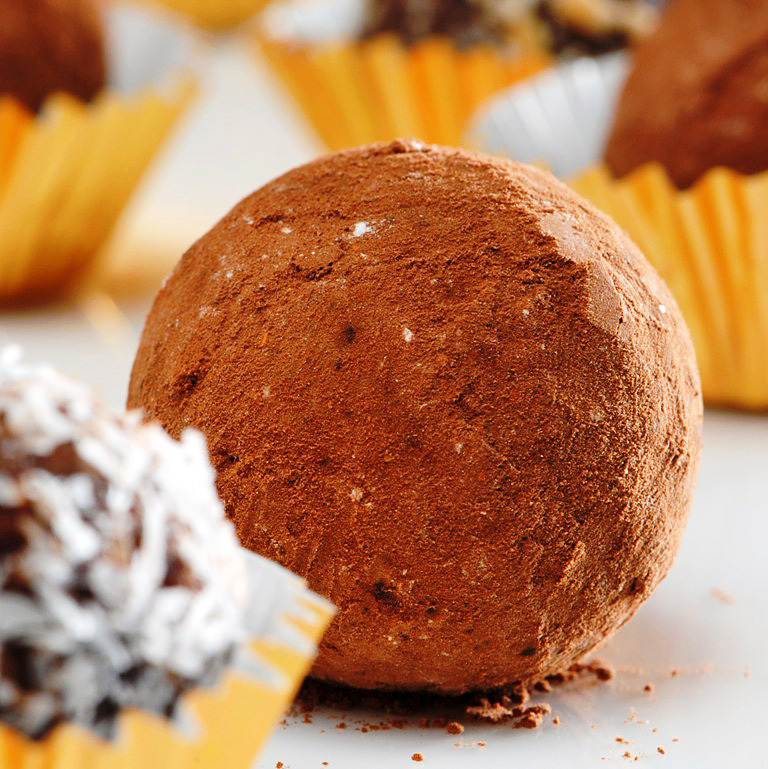 not only are they delicious, but they are impressive looking...anything "truffle-like" always seems decadent. 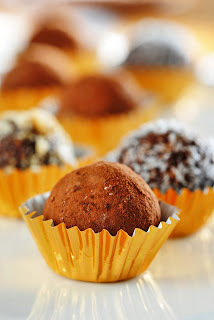 i have seen many of these recipes around, but the one that caught my eye was from ANJAS Food 4 Thought called Coconut Pistachio Truffles...NOTE...i'm having trouble inserting the link, but you should really check out her whole blog. i have tried many of her recipes and they all are fabulous...and healthy too. try her recipe for Flourless Almond Butter Honey Cake, so simple soooo good (i'm making another one today). try anjasfood4thought.blogspot.com. sorry my link thingy is not working. i will insert the info later. woops...i almost forgot to mention...i DID put a little cayenne pepper with the cocoa powder that i rolled them in. i love the extra kick in the pants. the ones rolled in coconut were for the ones who can't take the heat. this made ALOT...i forgot to count...24-30 ? if your dates and figs are too dry soften them by pouring boiling water over them and let them soak for 10-15 mins...i would suggest doing this. then drain them and pat dry before using. combine all ingredients in a food processor. pulse at first, then give it good whirl. 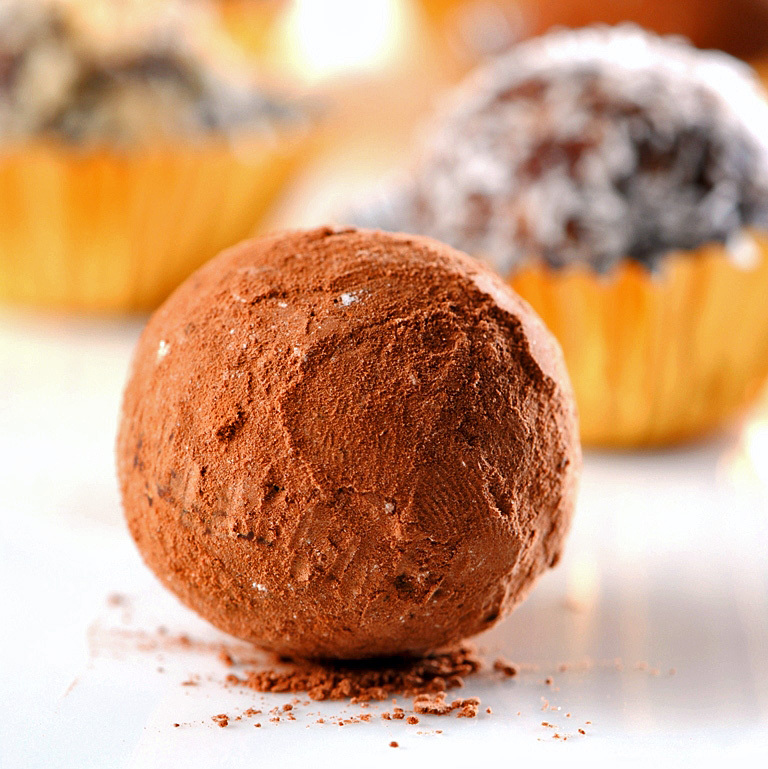 you want a fairly smooth texture to resemble a smooth chocolaty truffle. NOTE...if you want a little almond crunch inside, just add more of your almonds last to the processor and pulse to your liking. taste as you go...check your spices. 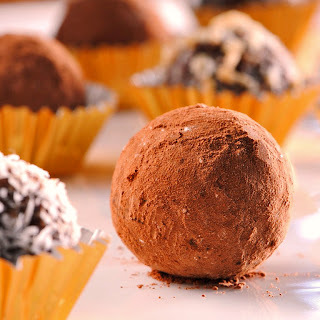 now...with your hands, form balls the size of a cherry or a walnut and roll in cocoa powder, coconut, finely chopped nuts or anything you like...all the sudden you have these cute little beautiful truffles. keep in an airtight container at room temperature or refrigerate. i liked mine chilled...they kept well for at a least a week. These look great!I love just about anything rolled in cocoa powder, I'll be making these with a quickness. Love it, thanks! Healthy truffles!? What a great idea.. they definitely look delicious! Looks great! Coconut is very healthy!